When you write about something people naturally will want to learn more. It is natural that I write about Transylvania. Transylvania is after all a part of my heritage, and the past not learned is... well not so good. 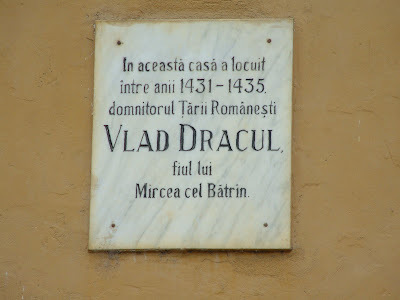 Although my Romanian is poor, I found this sign to be of interest, the birthplace of Vlad Dracul. Can anyone correct when I suggest it is saying a Romanian ruler?